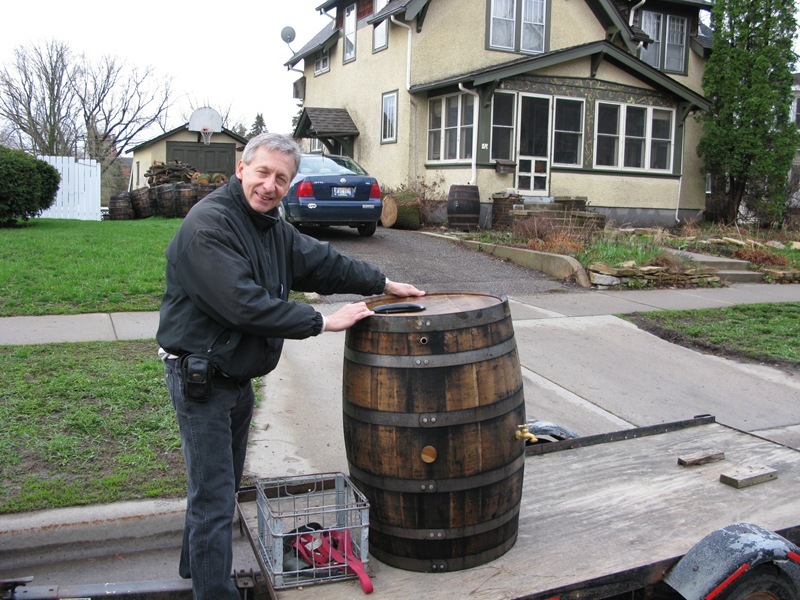 Bruce Anderson, Sustainable Community Solutions, has a few more rain barrels for sale from his latest expedition to bourbon-land. I picked one up on Saturday morning. 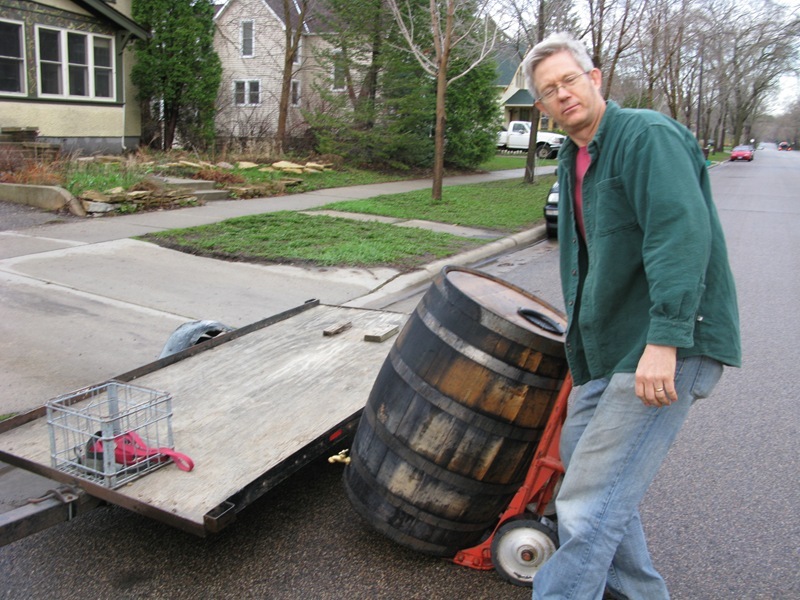 Left: Bruce has sold so many of the barrels he can load them (120 pounds) with one arm and his eyes closed. Center: I tried to copy him but needed two hands. Griff, you managed to catch me looking even LESS photogenic than usual, no mean feat! You wily photo-dog, you. We got one on Saturday too. Well, emptying those barrels of their original design contents (probably by curling them gently to the lips) would leave anyone capable of lifting an empty with one arm. Mine’s standing by for the next rain, and my pup is eager for that cool clear water.